Sometimes complex truths become clearer when we put them in very simple terms. Around the world, political leaders are still living in the delusion that we have time on our hands to find sensible alternatives to oil. But global oil production has peaked. It will fall rapidly now. More than 60% of the oil used in the USA is imported. 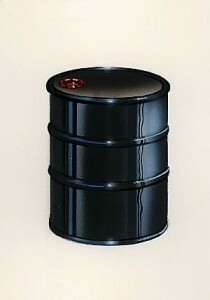 In the USA, about 25 barrels of oil per person are consumed each year, and 16 of those barrels are imported. At an average cost of $90 per barrel, imported oil costs the average person in the USA about $1,400 per year. The USA has just 3% of the known world oil reserves, yet we currently use about 25% of the world’s annual oil production. In order to end our country’s addiction to oil and combat global warming, we must focus on real solutions like increasing the energy efficiency of our homes, increasing vehicle fuel efficiency and increasing our sources of clean renewable energy. The Japanese seem to be most aware of the position. The Indians too are worried. Norway in earlier years did have a policy of restraint and good management, but has become corrupted by easy money like everyone else. They pretend to be cutting production to support OPEC, but in reality they are just watching the depletion of their old fields. The last government fell over an issue of the CO2 emissions from gas to generate electricity. Germans are becoming aware, and may prove to lead Europe. They are however tangled up with the Green movement wishing to close nuclear stations, and find it difficult to admit that they will need nuclear in the face of an oil crisis. The US, UK and European Commission are all quite useless on this issue, understanding little and doing less. We’re dealing with a cultural problem – 200 years of exponential growth culture. Rapid growth is a transient, temporary phenomenon. Are we failing to adequately prepare for the inevitable fuel shortages because we don’t know exactly when they will begin? 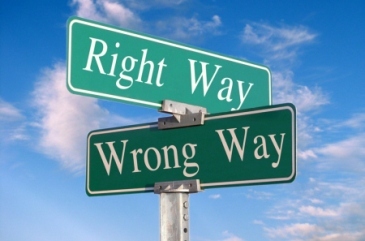 Were we a rational society, a virtue of which we have rarely been accused, we would reduce waste of our remaining fuel supplies and institute a program comparable to the Manhattan Project. We already have the technology and should begin while we still have enough fuel, metal, time and other resources to succeed. At the same time, it probably requires a spiral of adversity. In other words, things have to get worse before they can get better. The most important thing is to get a clear picture of the situation we’re in and the outlook for the future … an appraisal of where we are and what the time scale is. The time scale is not centuries its decades. I am currently in final year of B.Tech. from Bharati VidyaPeeth's college of Engineering, Delhi. I have been born and bought up in Delhi. I am also working as a Content Manager in a leading website. I aspire to do MBA and use that knowledge and experience, in having my own NGO, where I would help poor illiterate people develop skills to sustain themselves. I love writing articles on topics I connect with. My favorite philosophers are - Aristotle and Sigmund Freud. My favorite writer is Ayn Rand. I am simply fond of cooking and eating. My favorite food is Chinese. My hobbies are cooking, gardening and playing games online. I am not fond of outdoor games. I love watching reality shows. I believe it’s important to have an opinion. We are what we stand for.